I placed an order in Dec 18 and am patiently waiting for March, in the meantime I have been trying to find some info on the leather sports seats. I took a gamble and specced them for more support as they were new on the configurator. Does anyone have a MY 19 with them fitted, or any experience?? On order(pick up end March! ).....kodiaq 7 seat SEL 2.0d DSG. Black. LED lighting, Black Leather sports seats, high beam, heated screen and wheel, adaptive cruise, door bins, media command. In Edinburgh. 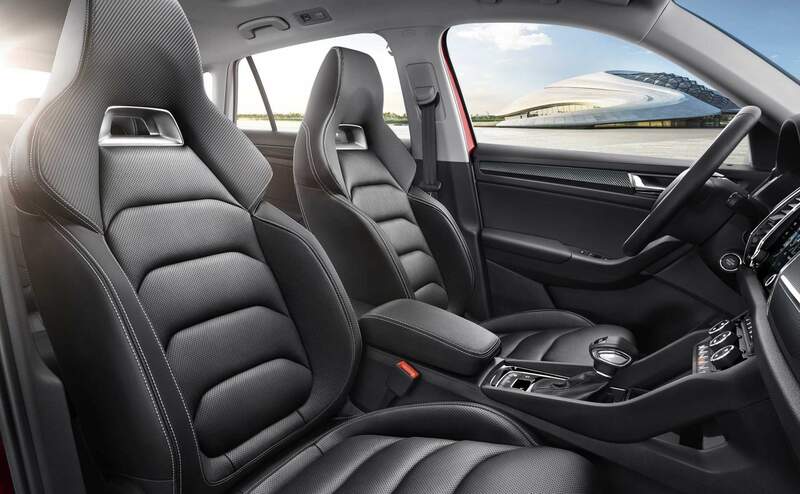 I believe the leather sports seats are just leather versions of the Sportline/RS seats. That is what I am hoping, as I think they look great. Fingers crossed! If anyone has any cars with them installed, please let me know and if they offer good support for back / shoulders? It is quite clear that those are the Sportline seats. Hi guys, yea I agree they do look like the Sportline seats, but they are Alcantara I think, so was just wondering what they would look like in leather!